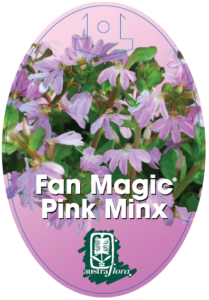 Scaevola Pink Minx is a companion to other-coloured small ‘fan flowers’ of the cottage garden style, and planted together or in hanging baskets provide a pretty display from spring & summer into autumn. Planted near rockwork or along path edges, these lightly suckering plants show their patchwork of colour to great effect; it’s rare to see them without attendant butterflies. Adaptable to a wide range of climates from cool temperate to sub tropical and semi arid, in moist clay or gravelly loams of neutral to acid pH; frost hardy and tough enough to deal with coastal exposure. Flower Information: Covered in candy pink fan flowers most of the year. Foliage Information: Dense soft green leaves. Cultivation: Well drained clay or sandy loams; neutral pH. Climate: Suited to cool temperate to sub tropical & semi arid climates. 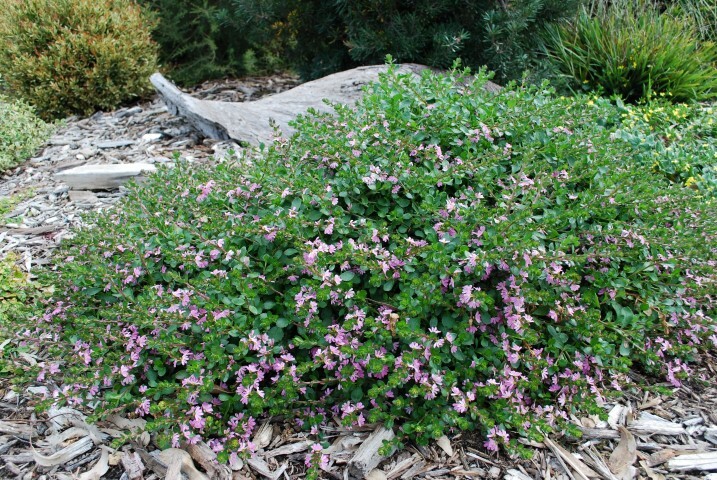 Maintenance: Maintenance is minimal; a little tip pruning if required; feed with low phosphorus native fertilizer early spring or late summer.